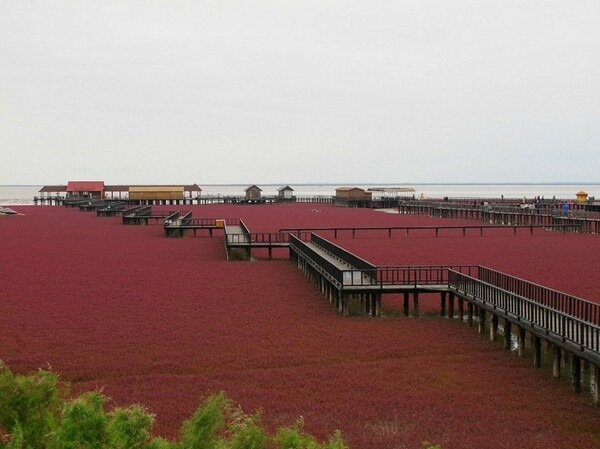 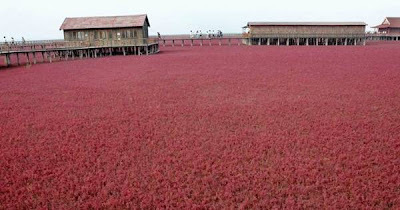 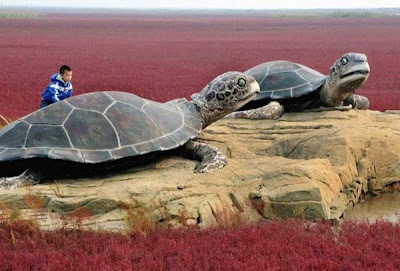 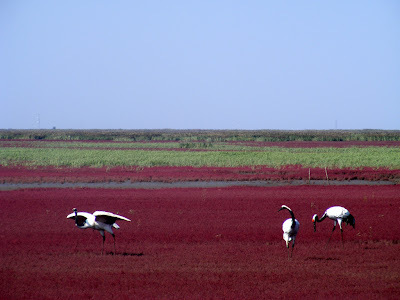 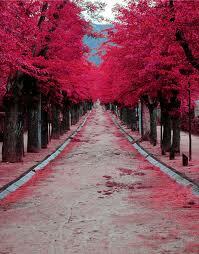 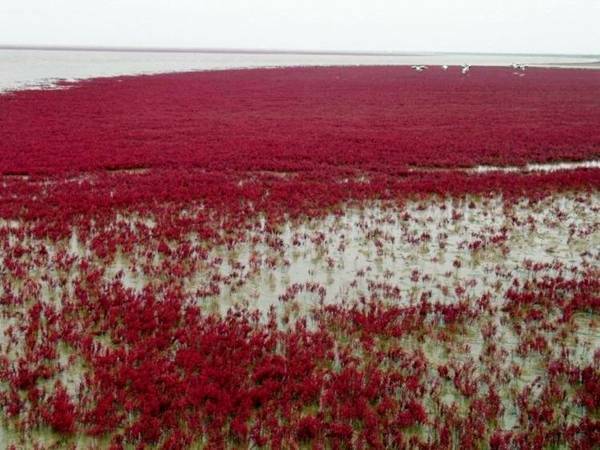 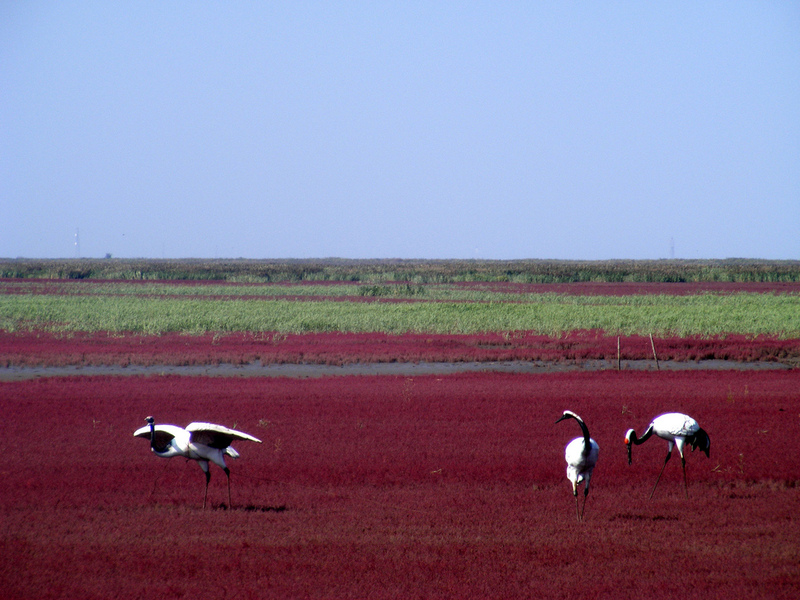 The Red Beach is located in the Liaohe River Delta, about 30 kilometer southwest of Panjin City in China. 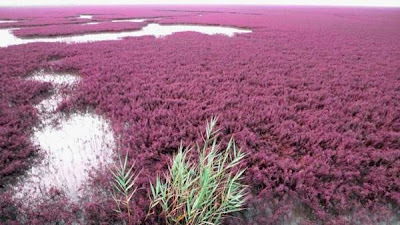 The beach gets its name from its appearance, which is caused by a type of sea weed that flourishes in the saline-alkali soil. 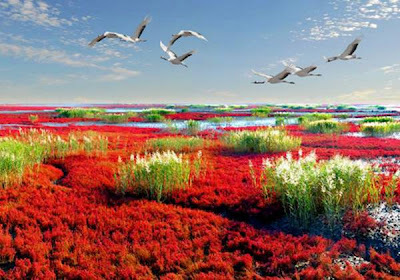 The weed that start growing during April or May remains green during the summer. 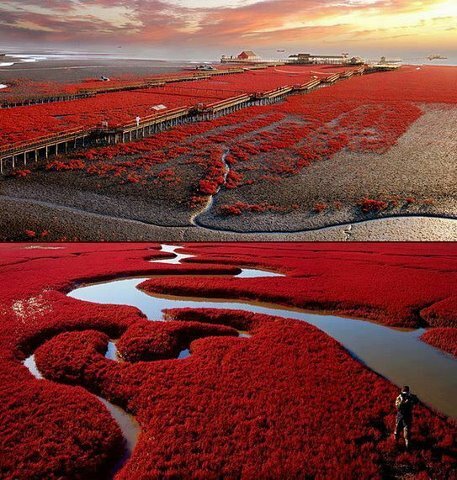 In autumn, this weed turns flaming red, and the beach looks as if it was covered by an infinite red carpet that creates a rare red sea landscape. 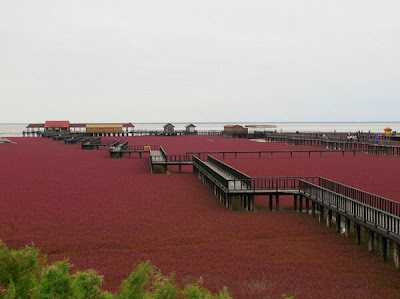 Most of the Red Beach is a nature reserve and closed to the public. Only a small, remote, section is open for tourists.